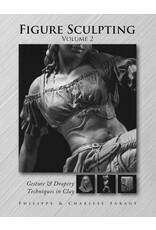 Volume 2 of this series addresses issues that arise after the fundamental skills of modeling anatomy have been grasped. 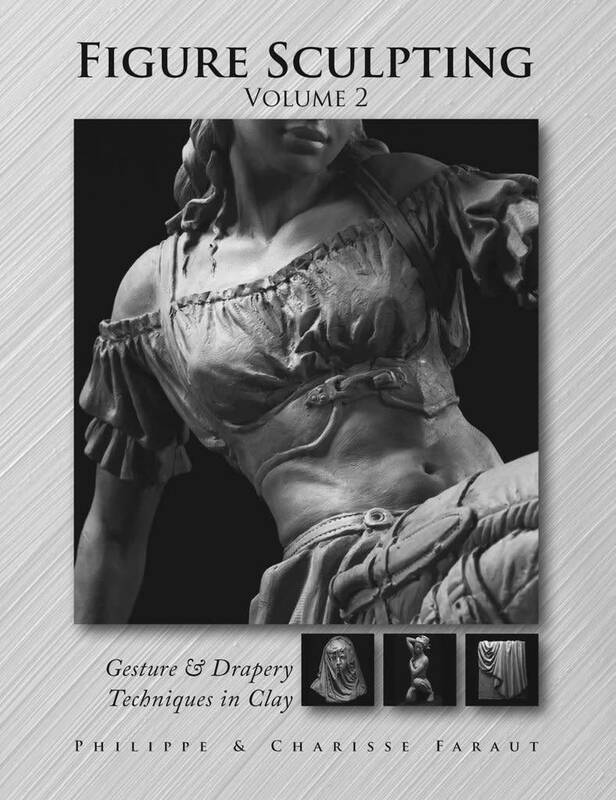 Written for the 3D artist, whether digital or traditional, techniques for applying gesture and drapery to enhance and bring life to sculptures of the human form are discussed referencing more than 100 of Philippe Farautâ€™s sculptures. In addition, step-by-step demonstrations including topics such as modeling stylized body types and multi-figure sculptures are shown through the use of over 600 photographs. The illusion of translucent fabric. Examples of the anatomy of folds. Exercises for modeling clothing & leather. Hollowing techniques for complex figures. Hardcover, Smythe sewn, 8 3/4â€ x 11 1/4â€, 240 pages.